An authentication tree node, that sends an HTTP POST request, to a configurable URL, with appropriate body and headers. A simple authentication node for ForgeRock's Identity Platform 5.5 and above. This node sends an HTTP POST payload with configurable body/headers. 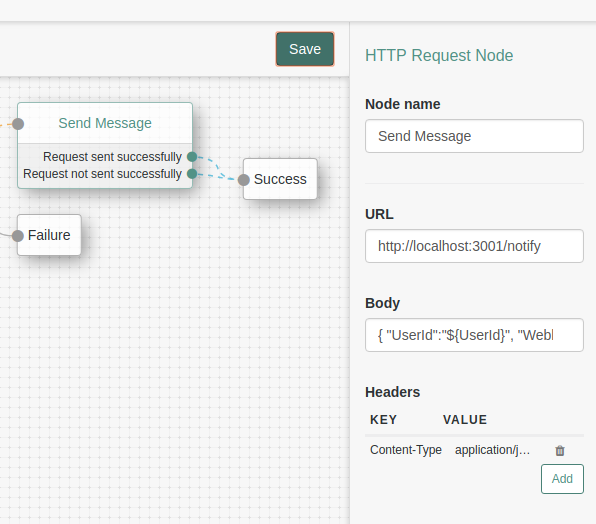 The node provides 2 outcomes: "Request sent successfully", "Request not sent successfully".